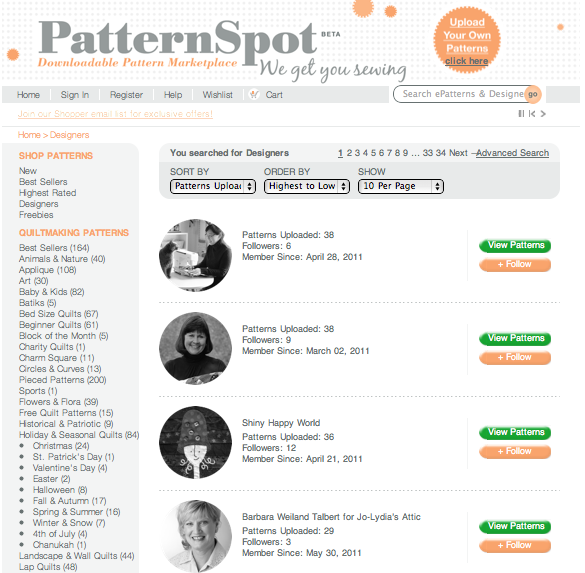 A little while back I introduced a new blog sponsor, PatternSpot.com, THE online marketplace for buying & selling downloadable patterns. I haven't had much time to do any "just for fun" projects lately, but I've been looking at their site and getting excited about some open sewing time that is finally on my horizon. I thought I'd show a few items that have caught my eye & share my ready-to-get-sewing bug with you. These unique designs totally make me want to get going sewing and finding these great patterns was easy. 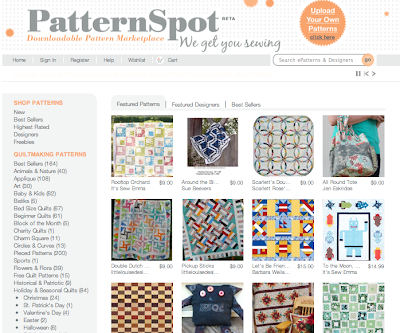 One of the things I really like about the PatternSpot.com is that everything is categorized so if you're looking for a particular kind of pattern or have a certain style, it's incredibly easy to search for the perfect projects. And if you find a designer with a style you like, you can follow them, so you'll be notified when they add new patterns. This really cuts down on the time spent sifting through stuff you don't want just to find what you really need. Why spend precious crafting time searching the internet for various sorts of patterns, when you can find them all in one place? 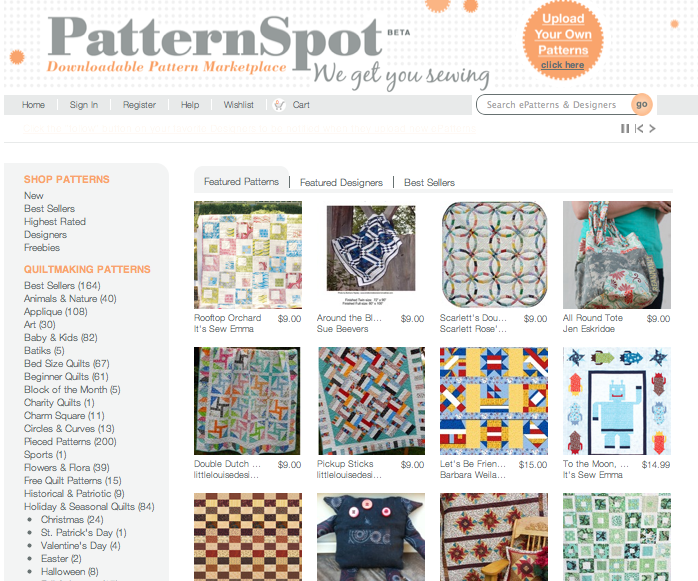 And if you've got a few great designs of your own you'd like to start selling, PatternSpot.com is a great place to sell your own digital patterns too. So if you're ready to get sewing, check them out! 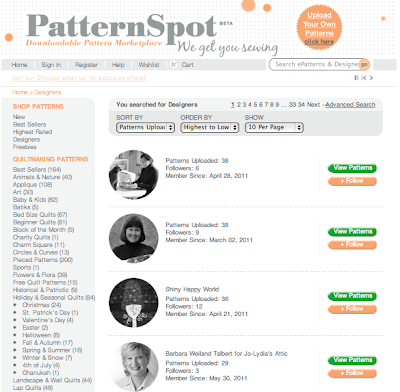 I love PatternSpot too. And I really like that they have quite a few free patterns! I also like the castle quilt, although if I ever make it, it will have to be in dark colors - I have boys.